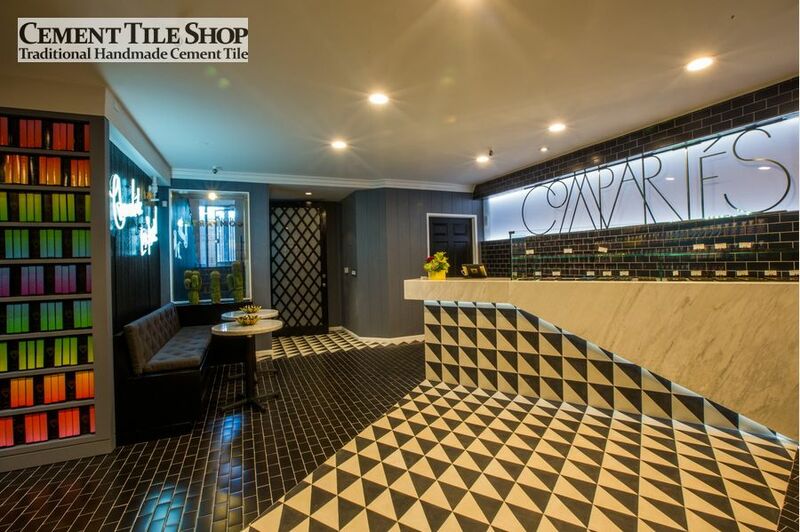 The recently opened second location of Compartes Chocolatier, on Melrose Place in Los Angeles, is an amazing space to pick up some beautiful sweets, treats and gifts. 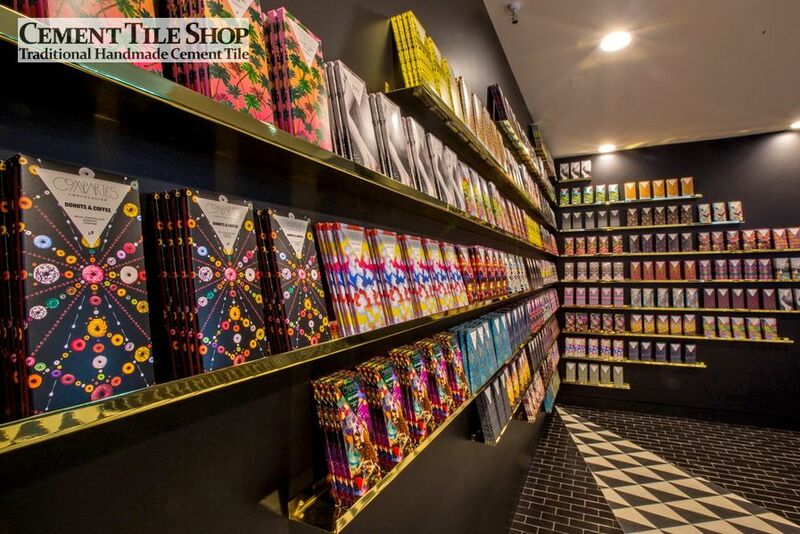 Created by Jonathan Grahm, named one of Forbes “30 Under 30”, Compartes is known for over 100+ varieties of gourmet chocolates, made in their Los Angeles chocolate shop. 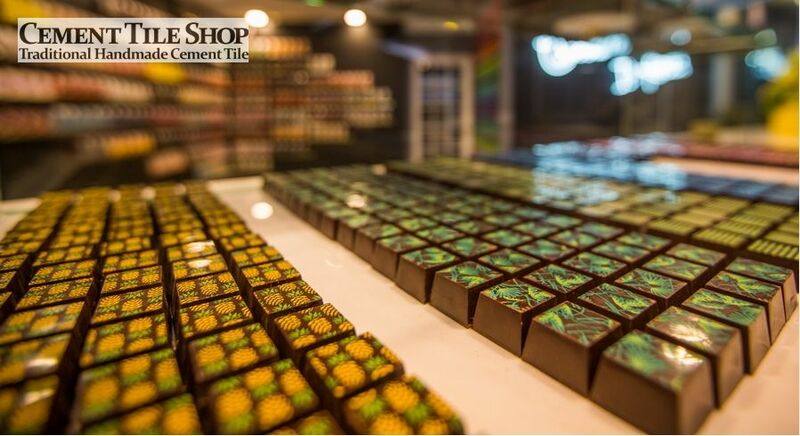 Jonathan is known as one of the most famous and prolific chocolatiers in the country for his gourmet luxury chocolates, chocolate truffles, chocolate bars and salted chocolate delights. 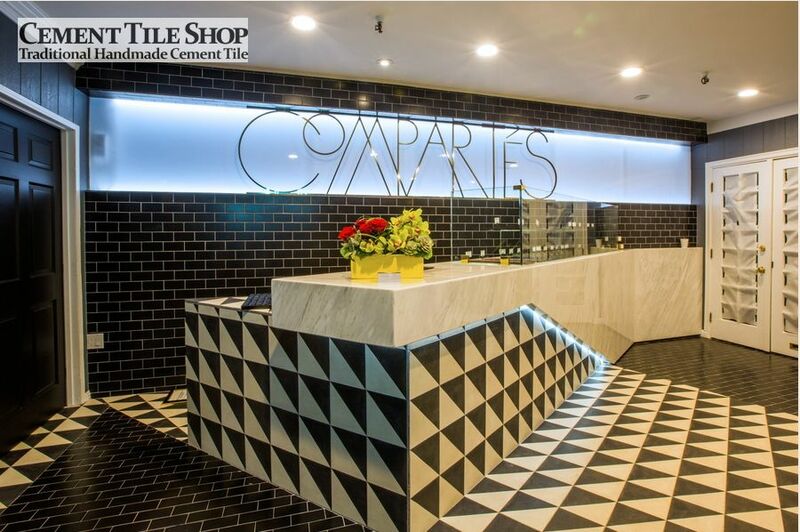 The Compartes interior, designed by AAmp Studio, has an amazing triangular black and white tile design featuring our Caribbean Diagonal handmade cement tile pattern. 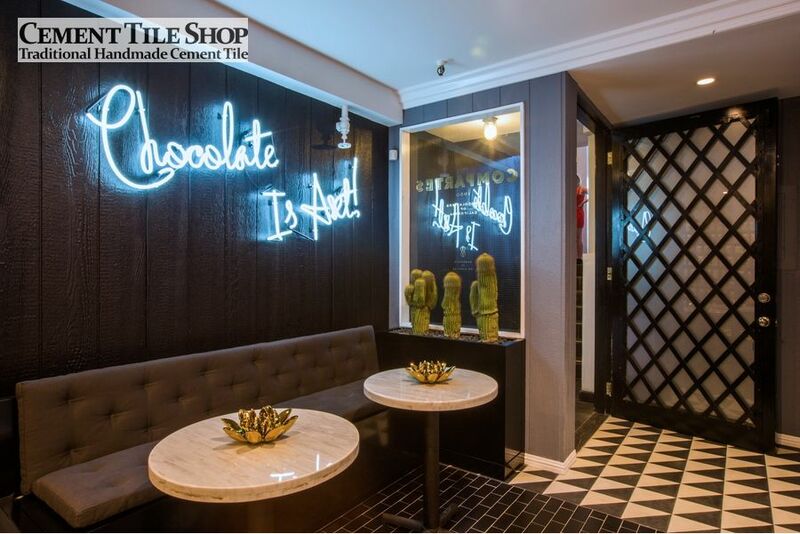 The modern space is unlike any chocolate store you’ve ever seen featuring walls of chocolate bars displayed invitingly. 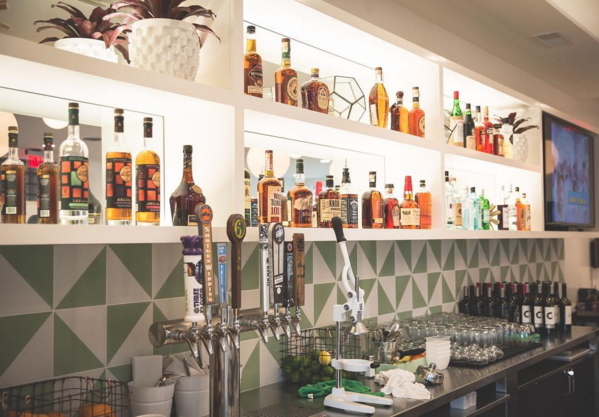 These beautiful photos of the space were provided by leading photographer Elizabeth Daniels of Elizabeth Daniels Photography. 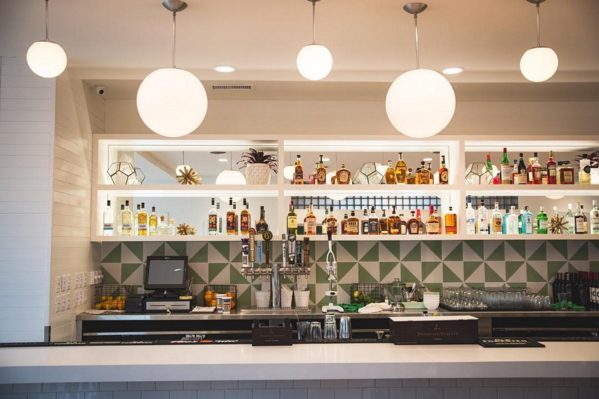 She is a regular contributor to Eater, Racked and Curbed in LA. 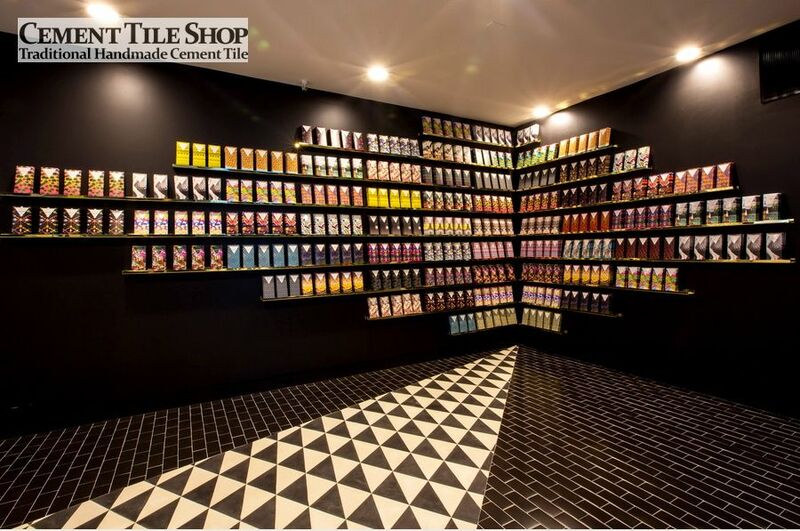 We have several in stock diagonal cement tile patterns of various colors that can be used independently or mixed together to create unique looks. 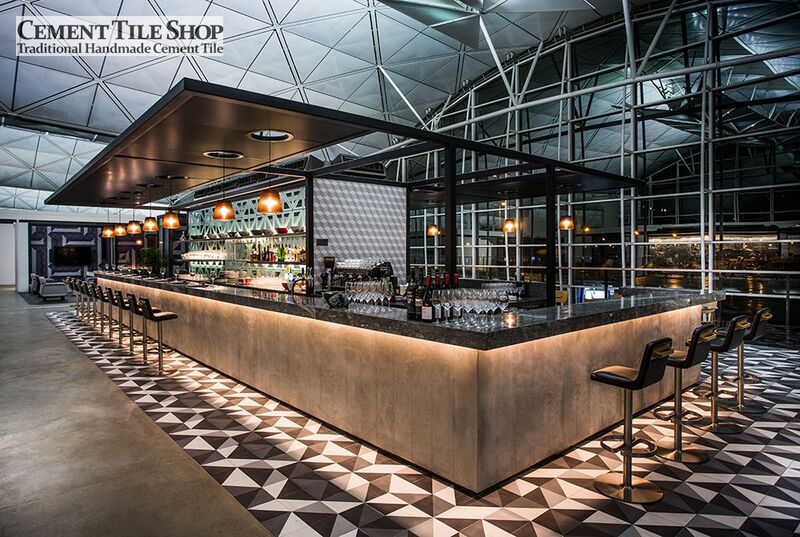 Please contact Cement Tile Shop at (800) 704-2701 for more information or to order! 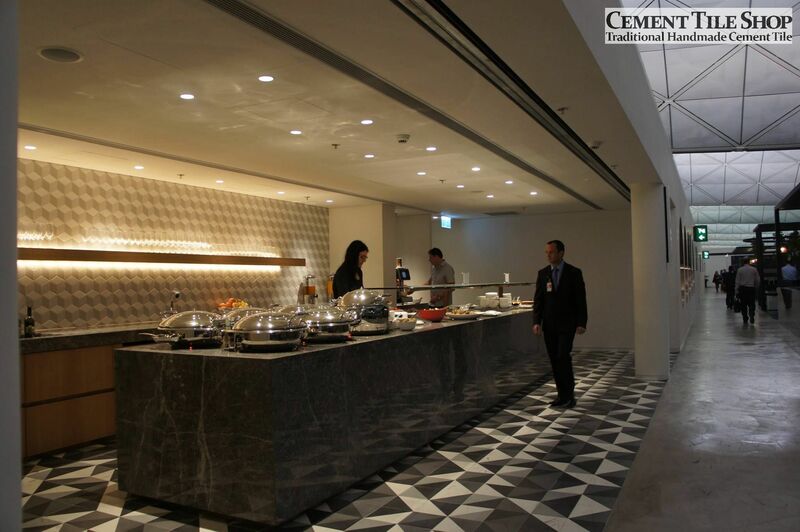 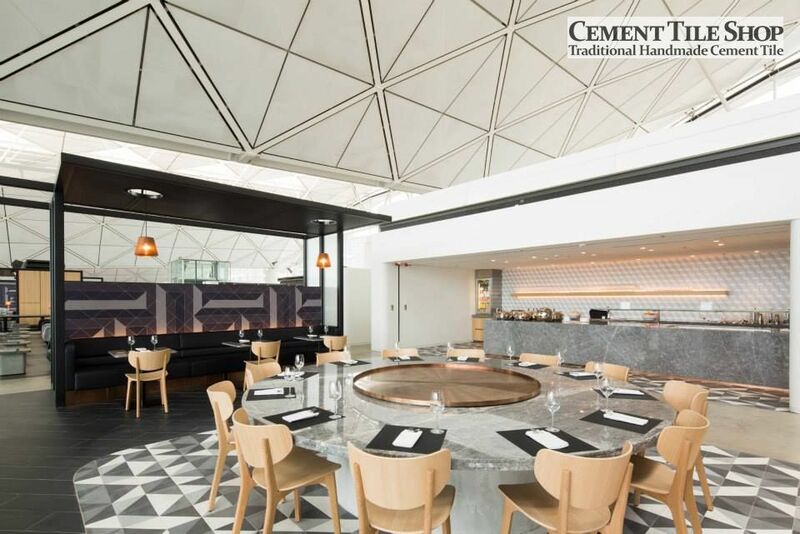 Cement Tile Shop is pleased to present pictures from the newly opened Qantas Lounge at the Hong Kong International Airport. 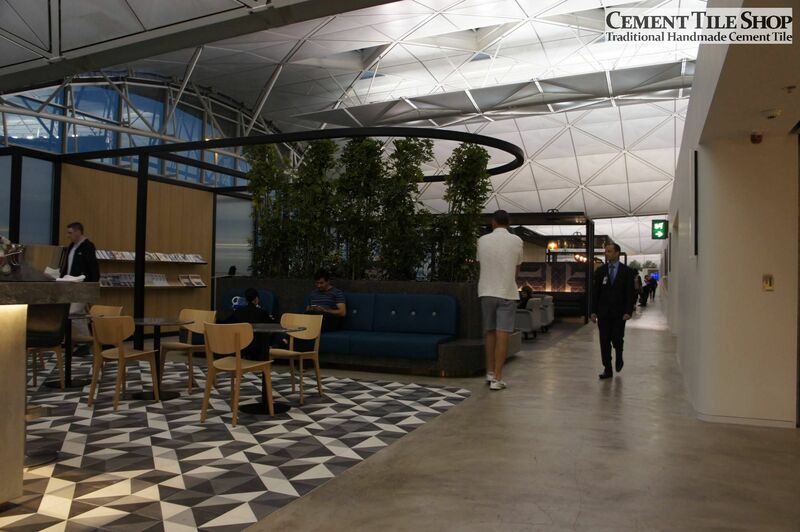 Our handmade cement tile tile was used as a focal point throughout the lounge, defining each separate area of the space. 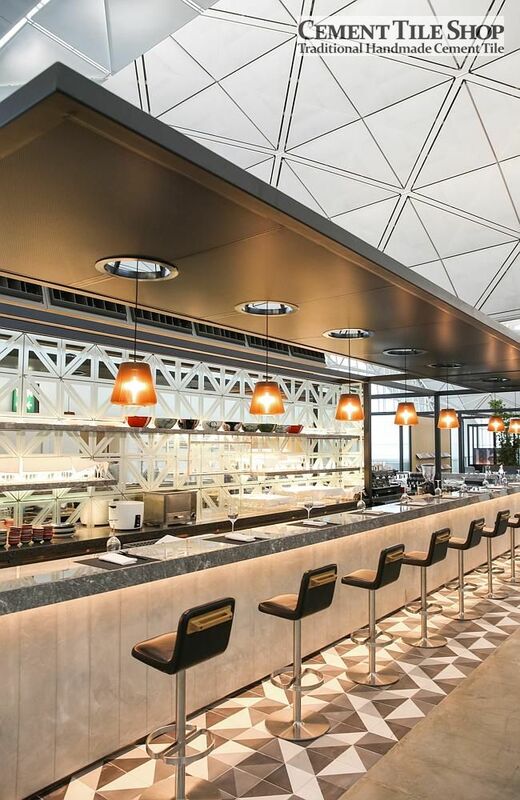 The new Qantas Hong Kong Lounge will deliver a new standard of luxury for customers travelling Qantas Airline through Hong Kong. 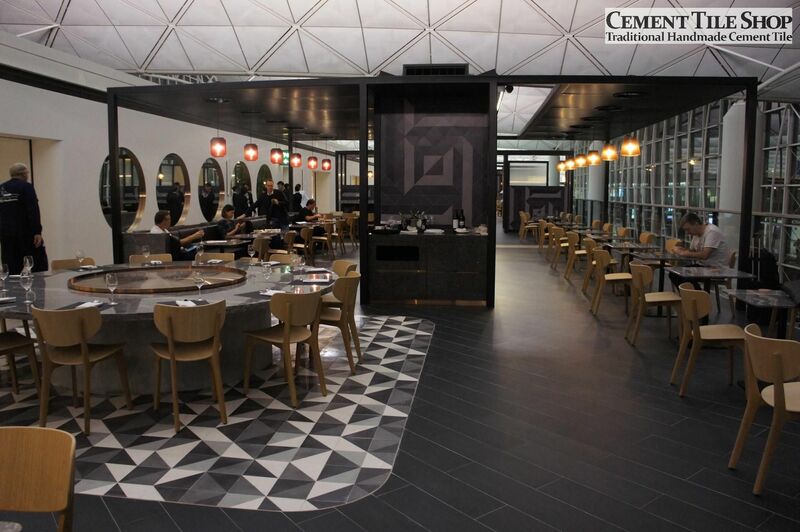 The stylish and contemporary space reflects the color, vibrancy and luxury of Hong Kong. 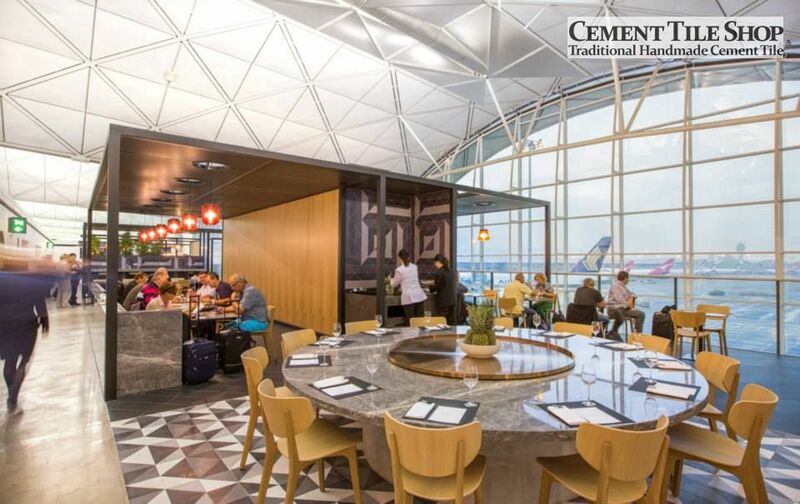 The lounge was designed by Sumu Design & Caon Studio, designers of the Qantas Singapore Lounge, winner of the People’s Choice Awards at the Interior Design Excellence Awards for 2013. 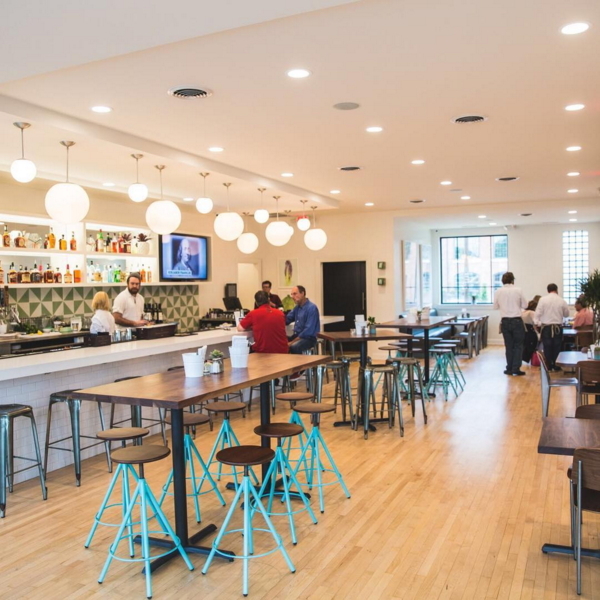 A brief tour of the lounge can be found by clicking here. 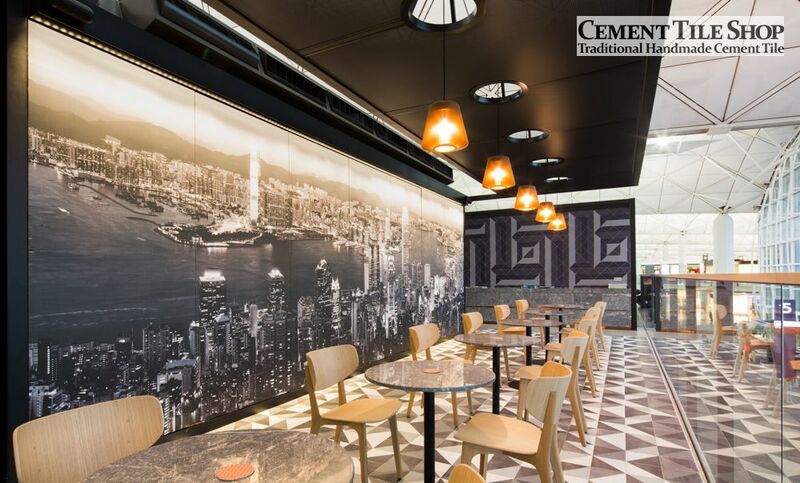 Our Diagonal handmade cement tile pattern was used in multiple shades of gray, black and white to add a modern touch to the beautiful, well designed and functional lounge, bar and eating areas. 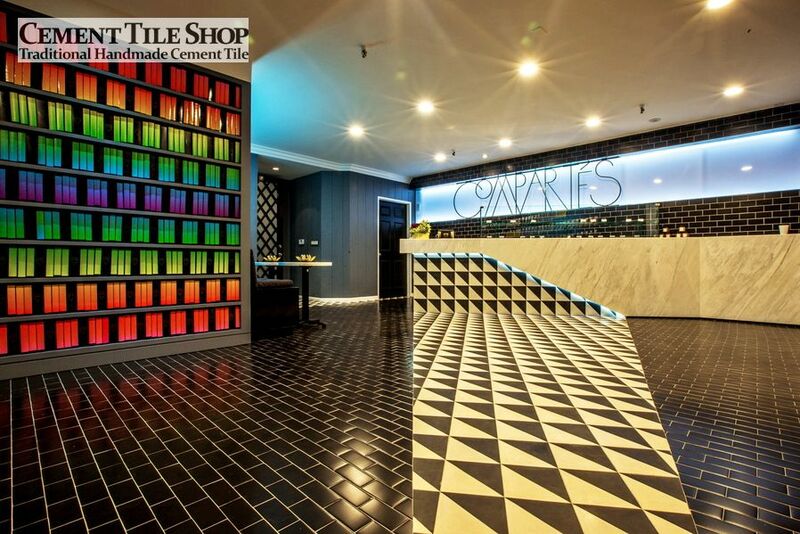 Cement Tile Shop provides handmade cement tile for projects all over the world – on time and within budget. 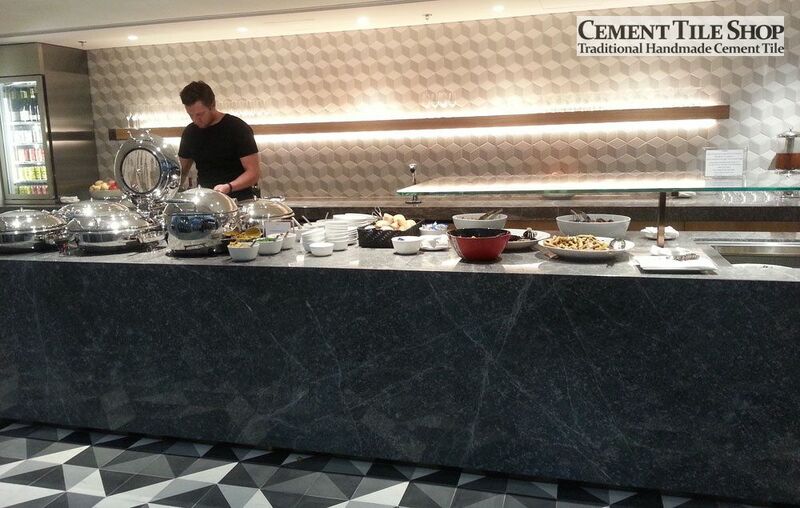 We would love to assist you on yours! 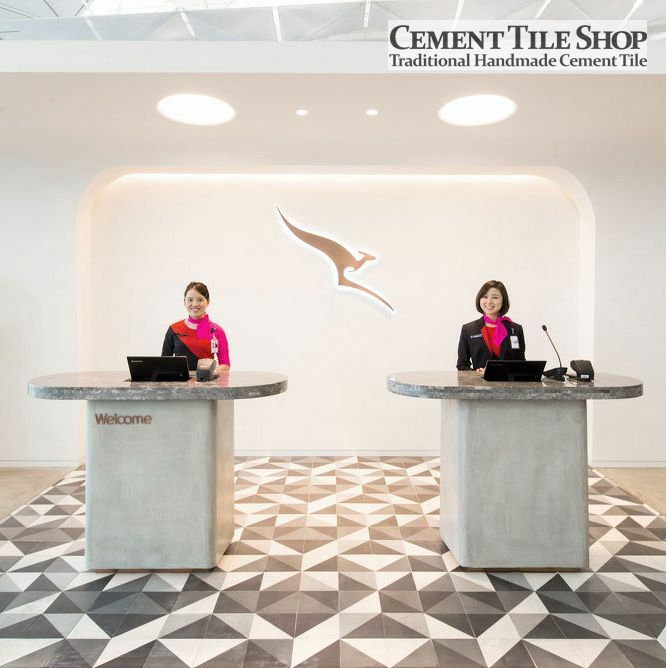 Contact Cement Tile Shop with your project information at (800) 704-2701.